If you read food labels on foods before you buy them, you may have noticed a statement that says “CONTAINS” followed by a list of one or more food items. You’ll see it just below the ingredients list as in the picture to the right. It’s often in bold type. You may think this is a good thing, but read on to learn why you cannot depend on it. 2) Immediately after or next to the list of ingredients in a “contains” statement. So be cautious when you’re shopping. Look for the CONTAINS information near the ingredients list. But if you don’t find it, read that ingredients list carefully. And one other thing: you may want to check the label every time you buy something. You never know when a manufacturer will change their ingredients. Are You Eating Trans Fat? 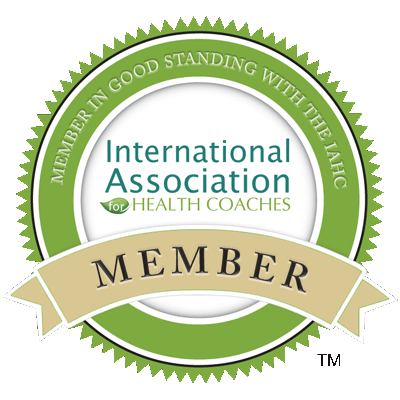 Most of us have heard about trans fat and that it is not healthy. Trans fat increases your LDL (aka “bad” cholesterol) AND also decreases you HDL (“good” cholesterol). It has also been shown to increase triglycerides and inflammation. But food manufacturers like to use it primarily because it prolongs the shelf life of foods prepared with it. How do you know trans fat is in your food? 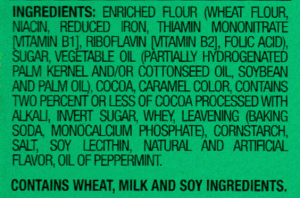 In the ingredient list, any partially hydrogenated oils are trans fat. Sometimes, foods say “0 grams trans fat” on the front of the package. Yet they can still contain trans fat! The image below is from the same package as the Nutrition Facts. 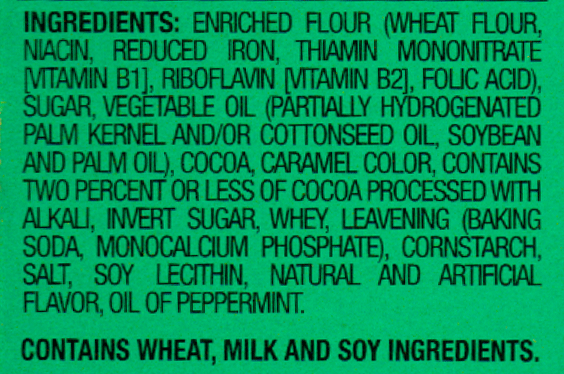 You can see, on the fourth line, that it contains partially hydrogenated oils. 5. How should trans fatty acids be listed? Read all of the label, including the ingredients list. Because, here’s the thing. 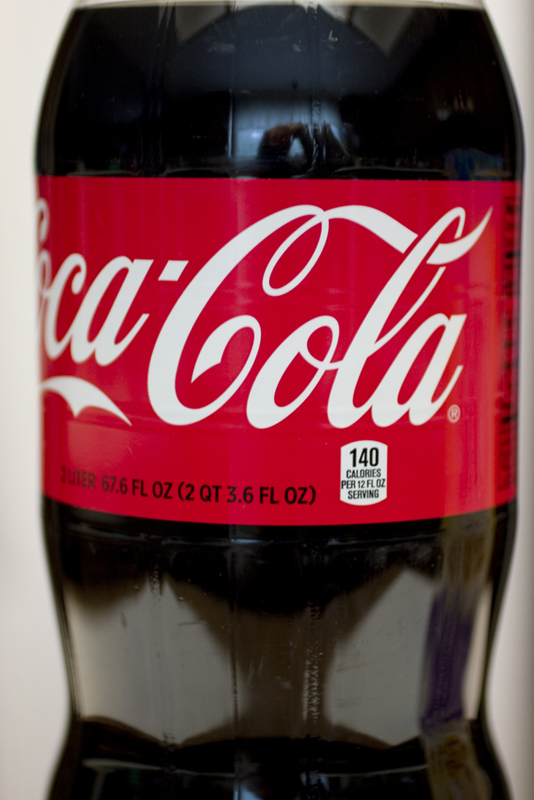 If a product says 0 grams trans fat per serving, it could be 0.49 grams of fat per servings. You just don’t know! So if you’re eating cookies and you tend to eat more than what the package says a serving is, you could be consuming a lot of trans fat. Serving size is listed at the top of the “Nutrition Facts” section of a food label. It’s something that you should be aware of. But what does it really mean? It’s important to be aware of it, but you have to look at the whole picture. I once saw individually-wrapped cookies for sale in a coffee shop. They were about 3 or 4 inches in diameter. The nutrition facts said that a serving size was one-fourth of a cookie. So that one cookie was 4 servings. It’s likely that most people who bought one of the cookies at it all in one sitting. Yet all of the nutrition information reads much better if they set the serving size smaller.